"It's a crazy industry that involves millions of dollars, probably into billions a year. It's just absolutely nuts," said our source. Companies that produce aftermarket LCD components are doing so because there's significant demand for these parts in repair shops around the world. Shops that are not Apple Authorized Service Providers are not able to source parts from Apple because Apple limits OEM parts to the repair shops that it partners with. There are more than 15,000 independent repair shops in the United States, all of which are sourcing components from suppliers that receive them mainly from these factories in China. 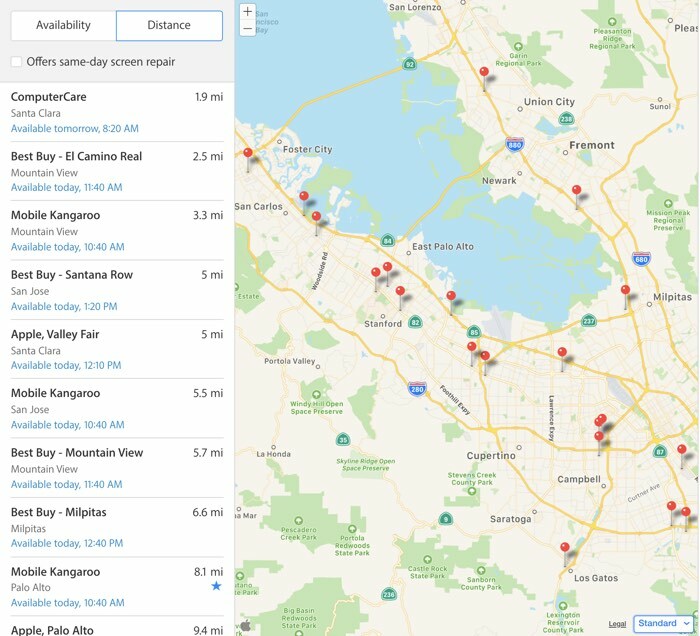 In the South Bay Area alone, where Apple's Cupertino headquarters is located, there are hundreds of non-AASP locations that can fix a broken iPhone. And that's just the United States. There are thousands more independent repair shops around the world. [The Chinese factories] are basically dishing junk out into the world. 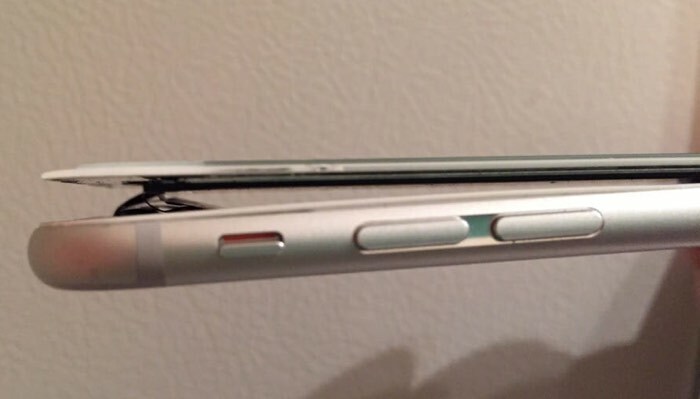 Apple's own screen may fail only if you've dropped it. Won't even fail up to 5, 10 years. But the fake screens usually fail between two to three years. Usually. That's not always entirely true, though, according to many of the repair shops that we spoke with. Kyle Wiens, who runs repair site and store iFixit, says there's a wide range in quality when it comes to third-party components. Some are total crap and are inferior to what Apple produces, but other components are a fairly close match. "Not quite as good as Apple," Wiens says, "but close." Some components are "indistinguishable" from Apple parts "unless you have Apple testing equipment." That's a sentiment that was echoed by several other repair shops. Mansoor Safi, who runs the iFixers repair shop in the Bay Area, said there are generally four display grades: Premium, Grade A, Grade B, and Grade C. iFixers, says Safi, uses "Premium" grade screens, which are considered top tier aftermarket display replacements because the lower grades are indeed rubbish. "If you drop from premium, you will see day and night in terms of responsiveness, color, quality, and how quickly it will break again," said Safi. "If I use anything Grade A, I'll get the same customer coming back again, and it's an inconvenience for the customer to come back." Even with what's considered one of the better aftermarket displays, you're going to see differences between the repaired device and a non-repaired device. We asked Safi what difference we'd see between a standard iPhone 7 and an iPhone 7 that had been repaired with a high-quality aftermarket display. The repaired device, he said, might be 5 percent blueish or 5 percent yellowish, depending on the display used, but it's not a disparity noticeable without a reference point. "Unless you put the two phones together, you won't see the difference," he said. Apple components are superior, according to Safi, but for reasons that include cost and time investment (some people need immediate repairs), sometimes "close" is good enough. Cupertino iPhone Repair's Laxmi Agrawal said that a lot of cheap, low-quality LCDs coming out of China can have a multitude of problems: poor polarization, broken 3D Touch, yellow screens, and bleeding of the LCD when the frame isn't tight enough. "We don't use the Chinese LCDs," he said, and customers need to watch out for "bad tactics at a lot of repair companies." 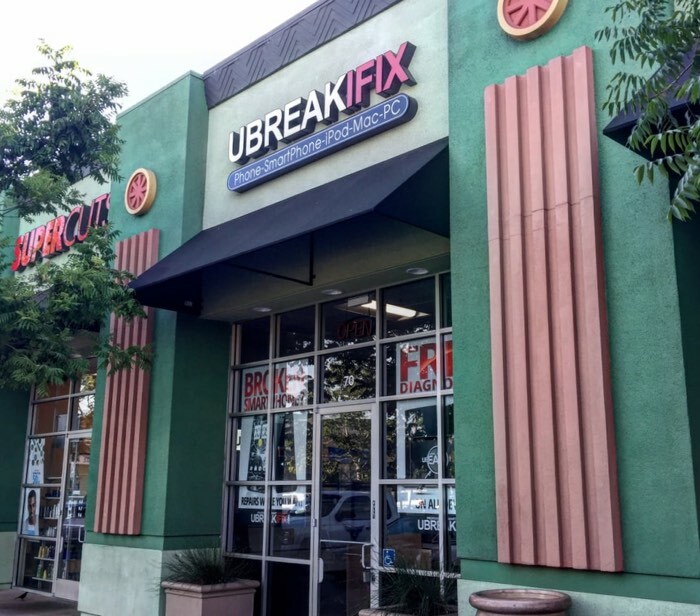 uBreakiFix co-founder Justin Wetherill says that the repairs done at his shops around the country are "comparable to those of an AASP." Because we're diligent about where and how we're sourcing parts and testing our components thoroughly, we are confident that our repairs are comparable to those of an AASP. Our technicians are professionally trained, and we have systems and processes in place to ensure we're always doing right by the customer. We pride ourselves in customer service and receive less than 1 customer escalation per day on average across more than 425 stores and have a warranty rate of less than 2%. Based on the number of repair shops we spoke to and the different answers that we received, there is, unfortunately, no universal grading system to work with. As Wiens says, it's a "completely free market where there are no standards." And it's true -- there are no agreed upon guidelines, there's no oversight from Apple, and there's no one who regulates aftermarket part quality. Jim from San Jose's Cellular Repair Center, for example, said that the best quality screens are those that can be described as "original" grade, and he didn't mention the Premium grading system we'd heard earlier. Strictly speaking, all screens are "aftermarket" and we inform our customers as such. 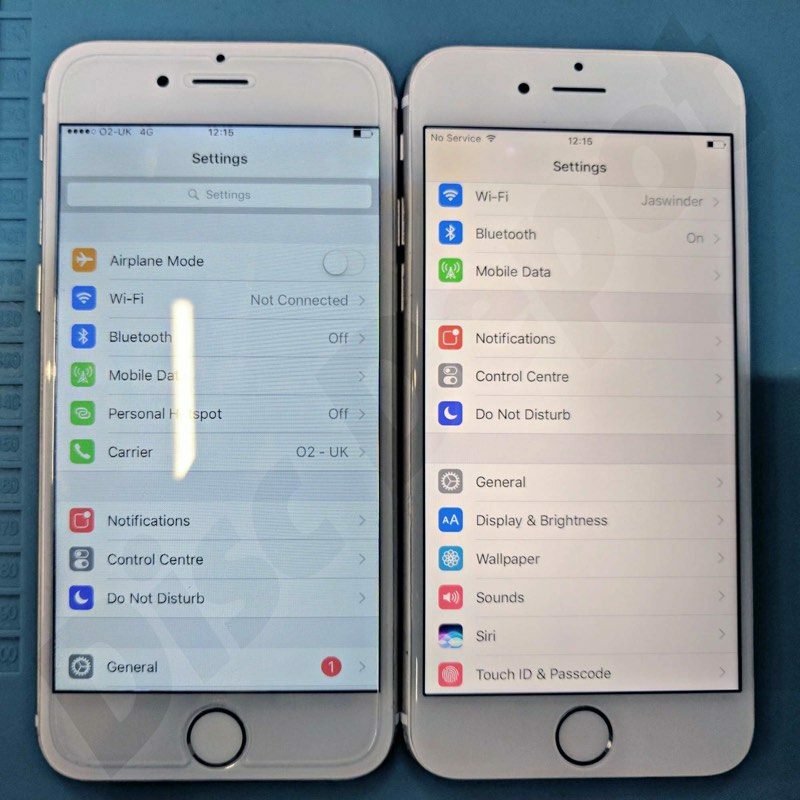 The only truly original screens either go to Apple, AASP, or removed from an actual iPhone. What most vendors include in their offering is something best described as "original grade". This is a screen that is very VERY comparable to the screen that came on the iPhone. Many repair shops offer an "original" option but we think they are misleading their customers. There's also a big market for reused iPhone components. 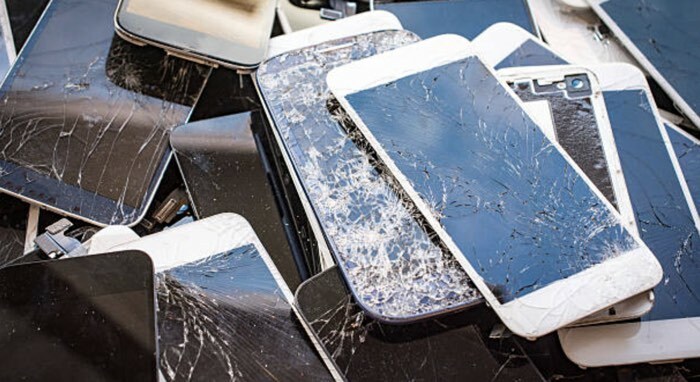 Some repair shops will take the LCDs from broken iPhones that are repaired and sell them in bulk to a company that refurbishes them and attaches new digitizer components so they can be reused again. The refurbishing company then sells the displays back to the repair shops for use in future iPhone repairs, but there's limited supply. Most of the repair shops that I spoke to told me that they do buy these upcycled genuine iPhone components when possible, but supply is limited. According to iFixit's Kyle Wiens, much of the repair market has shifted from OEM parts sourced through reuse to aftermarket parts over the course of the last two years. "We stuck to OEM parts as long as we possibly could, and we sell OEM parts when we can get them, but aftermarket quality got so good and the price was so much cheaper, it made more sense," he said. The only way for a repair shop to get access to genuine Apple components for repairs is through the Apple Authorized Service Program. While there are many thousands of independent repair shops in the United States, there are far fewer AASPs -- approximately 4,800 worldwide. Shops that want to become Apple Authorized Service Providers need to meet Apple's requirements, and Apple doesn't approve all shops that apply. Training courses and exams are involved, which can cost thousands of dollars, and shops are required to "meet Apple's standards at all times" with Apple conducting audits and reviews to ensure compliance. There are benefits to being an Apple Authorized Service Provider. Customer trust, for example. At an AASP, Apple customers know that the repairs they're getting are the same repairs that Apple would offer, which can draw in more foot traffic. Apple also directs customers to its AASPs through its Customer Support website. 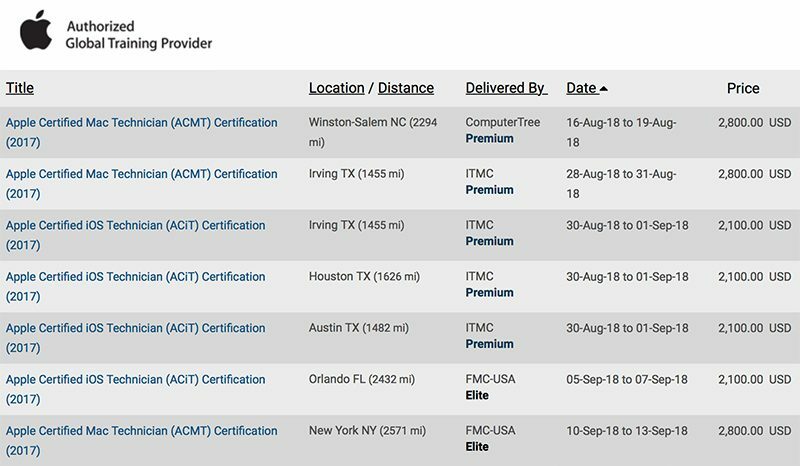 AASPs have access to parts that can be ordered directly from Apple for repairs using genuine components, along with comprehensive product, repair, service, and troubleshooting guides. Apple also offers reimbursement for labor, parts, and travel for repairs to developers covered by Apple's warranties, so there's guaranteed business involved in being an AASP. There are negatives, though. AASPs must follow Apple's repair guidelines, which can involve long checklists of steps, and Apple limits the repairs its service providers can do in-house. For a lot of repairs, devices must be sent to Apple, for a repair turnaround time that can span days. Longtime Apple Authorized Service Provider Mac-O-Rama told MacRumors that Apple's AASP program is worthwhile because it offers access to Apple parts, training resources, and Apple's processes for repair. While most Mac repairs can be done in-house, Mac-O-Rama says the same is not true of iPhone repairs, which can be challenging. We don't have the equipment or authorization to perform iPhone display replacement in-house, so our only option is to mail in that particular repair to the Apple service depot, which takes longer than most people want to be apart from their phones. For example, clients come in with a 3rd party display replacement and the bezel is heavily damaged. If you try to take the display off and replace the battery and then try to reassemble the phone, the display will crack due to the uneven bezel. Other times we will start a battery replacement and find a previously installed battery that has been installed incorrectly, so we can't even get it out of the phone without creating a fire hazard. It's scary when you have so many untrained "technicians" out there handling this equipment. The reason for this is a replacement and calibration process that's done with something called the "Horizon Machine," which up until last year was only available to Apple retail stores and repair warehouses. 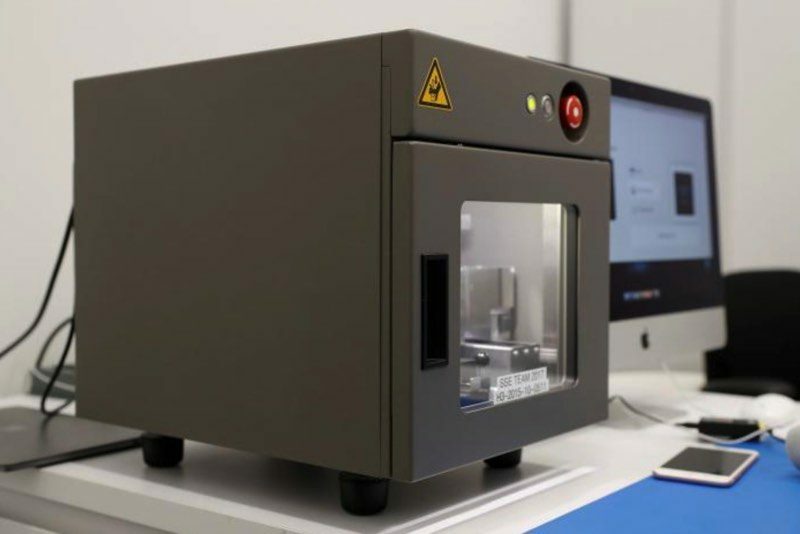 Apple is continuing to roll out Horizon Machines to its service partners, but in some countries like Australia, we've been told that there are very few repair shops that have been provided with one of the Horizon Machines. None of the Apple Authorized Service Providers we spoke to had one of these machines, so the availability still appears to be quite limited. Laxmi Agrawal from Cupertino iPhone Repair said that he spoke with Apple about becoming an AASP, but it wasn't feasible for his business. We decided not to continue with the AASP. Apple doesn't pay very much. They have restrictions that you can't do screen repair at your shop. You have to collect the device, go to a center, and wait for it to be repaired. Turn around time is too long. 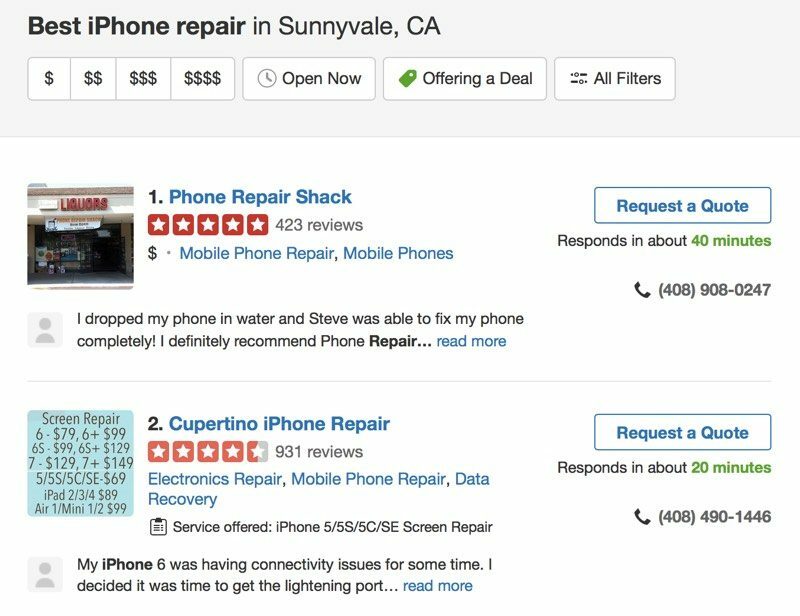 Agrawal said that Cupertino iPhone Repair gets a lot of foot traffic and works with major companies like Facebook and Zynga, so business is good without Apple. 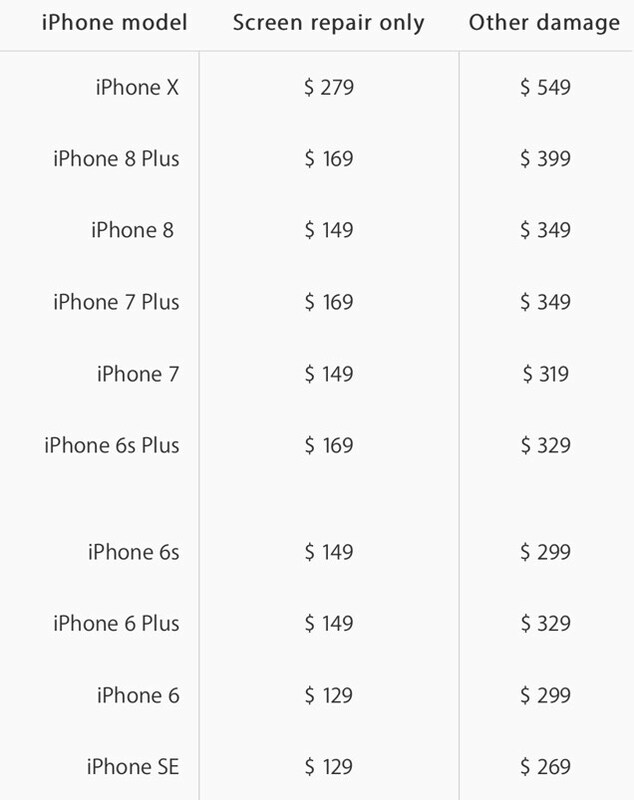 "We just can't work with Apple at that price," he added. iFixer's Mansoor Safi said that Apple's program isn't convenient for small businesses. "Everything gets dictated by Apple," he said. "Pricing, what needs to be done, parts. And Apple pays such a small fee." Safi also explained that Apple only really repairs two components in the iPhone -- the battery and the screen. For everything else, Apple does total device replacements. 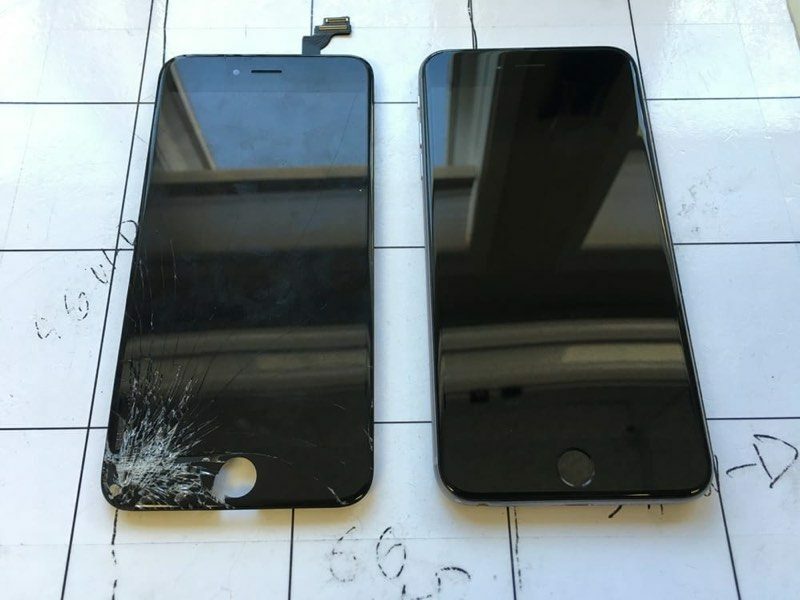 His shop, and other repair shops, can take care of water damage, speaker issues, problems with the charging port, and other problems at a cheaper price than Apple charges customers for a total device replacement. "If iPhone repair were our only function, I'm not sure that we could survive on the compensation received from Apple, especially for mail in repair," said one source. Jim from San Jose's Cellular Repair Center told us he's reached out to Apple two or three times about the Apple Authorized Service Provider program and hasn't heard back. He has an open mind about joining, but is a little lukewarm on the idea. Micro soldering is a skill that can fix sensitive iPhone problems that require a lot of precision, such as backlight failure, "Touch Disease" resulting in multi-touch issues, and problems from water damage. AASPs can't address these issues and instead must send devices to Apple for replacement. Apple is said to be selective about the shops it chooses for the Apple Authorized Service Program, especially in the Bay Area, and while we're not able to confirm it, some repair shops said that Apple isn't accepting new AASPs in certain areas. Apple's general point of view seems to be that repairs made by independent shops are unsafe, and with the number of repair shops out there, iPhone customers do indeed run into bad repairs and real safety issues. Only by using an Apple Authorized Service Provider can customers be sure that a device is functioning 100 percent the way it was intended to when it left Apple's factory. Apple sees AASPs as an important part of Apple's repair ecosystem, providing repair options in areas where there are no Apple Stores and in dense urban areas where demand is high and Apple retail stores might have long wait times. Repairs from independent shops are often cheaper than the prices Apple charges, and that's one of the reasons why some customers choose to eschew Apple repairs. With higher-quality aftermarket or OEM repair components used in repairs on newer devices, prices aren't always much different from what Apple charges, but on older devices, independent repair shops almost always beat Apple on price. The same is true of repairs where Apple might scrap the entire device and require customers to pay an out-of-warranty replacement cost. 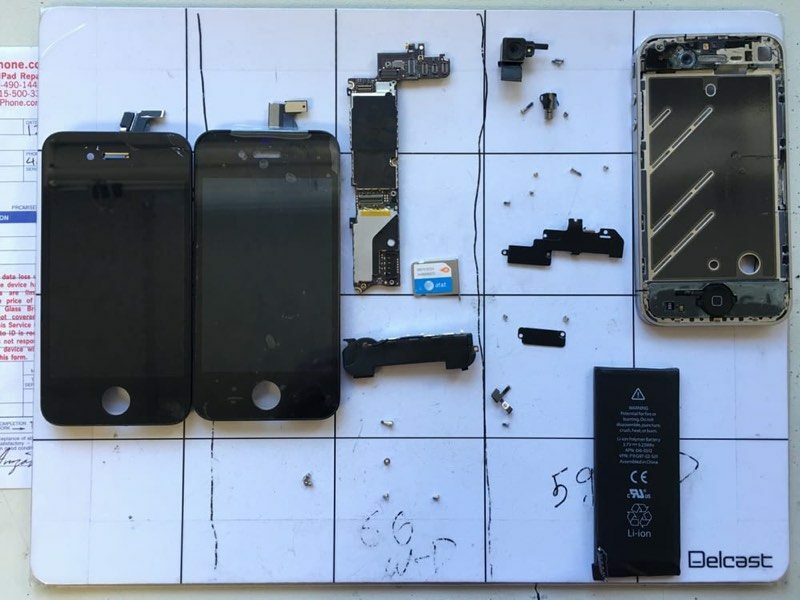 Repair shops can sometimes fix these issues without writing off the entire iPhone. Jason Yin of QuickStart Cellular said he charges $60 to $90 for iPhone 6 to iPhone 8+ repairs. An out-of-warranty screen repair from Apple for iPhone 6 to iPhone 8 costs from $129 to $169, so it's understandable why some customers choose more affordable options. "Other damage" that isn't limited to the display can cost anywhere from $299 to $399 from Apple. Cupertino iPhone Repair charges $129 to fix an iPhone 7 screen, and $149 to fix an iPhone 8 screen, which is not far off from Apple's pricing at all. On older devices, though, the savings are much more significant. 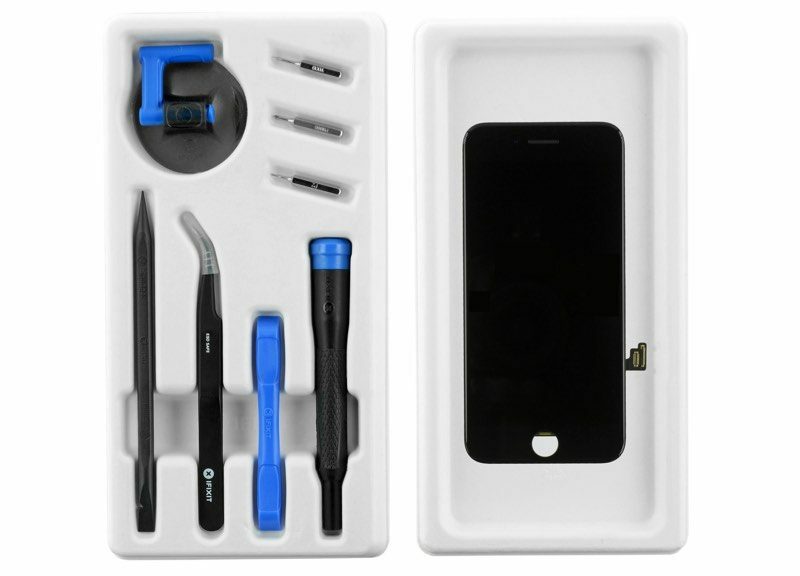 Well-known repair site iFixit sells an iPhone 7 LCD screen with digitizer and all of the tools necessary to make the fix for $90, a good $60 less than Apple's asking price. You'll need to follow iFixit's tutorials for these kinds of repairs, so it's not for everyone, but it's a good savings for those technically inclined. In a free market with no regulation and no accountability, you don't know what you're getting when you walk into a third-party repair shop, which isn't something the average person seeking a repair likely thinks about. Still, with some vetting, aftermarket repairs can potentially be a good option for some people and in some situations. iFixit's Kyle Wiens doesn't believe independent repair shops should be avoided in favor of AASPs. He likens the independent repair market to the aftermarket car repair market. There are good mechanics and bad mechanics out there, and the key is to find someone that you trust. "We provide factories with extensive quality guidelines," said Wiens, with iFixit dictating parameters like acceptable number of dead pixels, necessary display brightness, and more, to best match what Apple offers. When seeking a repair, there's no standardized nomenclature to let you know about the grade of a component a repair shop might be using, so Wiens recommends reading Yelp reviews, having conversations with shop owners, and when initially choosing, going for the more expensive repair shops. "Find a repair shop you can trust that will stand by their work," said Wiens. Almost every repair shop we spoke with said the thing. Check the Yelp reviews. Read what people are saying. Ask questions. Make sure there's a warranty that the repair shop will stick by. Be aware that many independent repair shops are using aftermarket components and while the quality can be nearly as good as an Apple repair, it's not an Apple repair. Aftermarket repairs that result in damage to an iPhone can void the device's warranty, which is also something to be aware of, and there are multiple problems that can result from lower quality parts or shoddy work, as mentioned above. It's a good idea to ask repair shops to tell you about where they get their components from. The repair shops that we spoke to were forthcoming about their suppliers and the components they're using in repairs. All of the repair shops stressed the importance of a good supplier relationship, vetting the supplies, trial and error to get the best components, and in some cases, even having a quality control team overseas with suppliers. If you want an Apple-quality repair that's guaranteed to be of the best quality, go with Apple or an Apple Authorized Service Provider. Apple charges a premium, but sometimes it's worth it for peace of mind. You can get almost top-tier quality from aftermarket parts, but there's no match for Apple's own components even at the best repair shops. If your iPhone or other Apple device is under warranty, either the one year manufacturer's warranty or AppleCare+, it's best to go with Apple or an Apple Authorized Service Provider. It makes sense to shell out more money for a device that's newer, and in some cases, when it comes to newer devices, repair shops don't have the necessary aftermarket components to make reliable repairs. For example, there are no companies that are able to manufacture aftermarket OLED displays for the iPhone X. The technology is too new and OLED manufacturing is limited to a few major companies like Samsung. Some repair shops have been replacing iPhone X OLEDs with LCDs, and the much poorer quality isn't worth the cheaper repair price. There are no independent repair shops that can repair a broken Touch ID button for security reasons, so that's a repair that has to go through Apple. We've also been told that repair shops aren't able to repair the back glass of the iPhone 8, iPhone 8 Plus, and iPhone X for lack of replacement chassis. It's older devices that seem best suited for repair by independent repair shops. 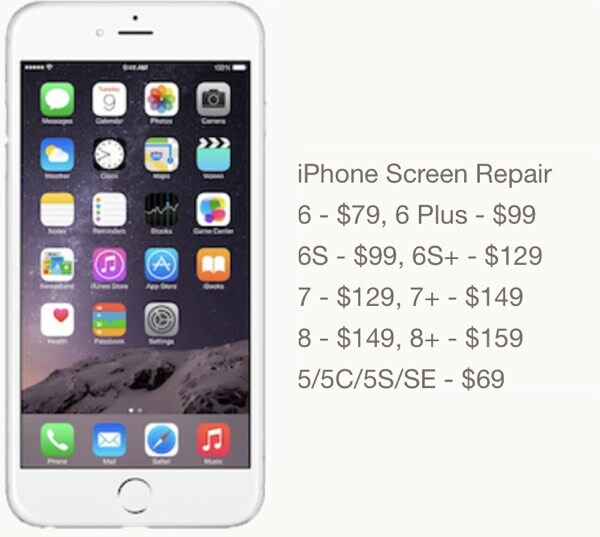 Even for older devices, Apple charges quite a lot for repairs and replacements, and many of these repairs are out of warranty. Independent shops charge less and are able to fix non-display issues that Apple would charge a replacement fee for. It wouldn't be advisable to take an iPhone X to an independent repair shop, but an iPhone 6s with a non-functional speaker? Absolutely. Many customers use their iPhones for multiple years without replacing them, and despite Apple's preference for AASPs, there is a genuine need for more affordable repair options for older iPhones. "If we could get parts directly from Apple, I'd do it," said Cupertino iPhone Repair's Laxmi Agrawal. "I'm already paying a high price, I would like to buy from Apple. I would buy from Apple. They just won't give it to us." There are fears that Apple is moving towards a stricter repair philosophy that would shut out independent repair shops entirely. 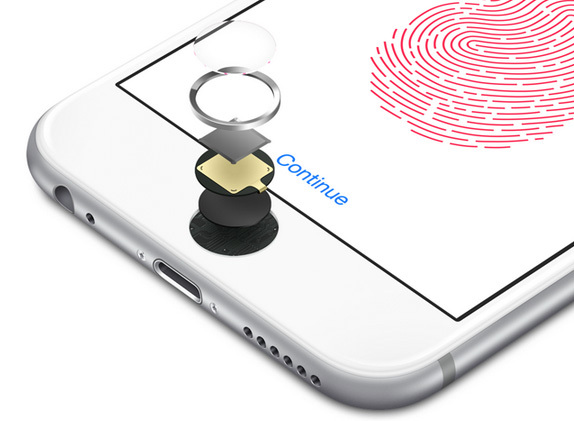 Touch ID repairs are an example - as mentioned above, a Touch ID repair requires authentication via a specialized machine, and some repair shops worry that Apple might keep other repairs under lock and key in the future. iFixer's Mansoor Sufi, for example, referenced a recent issue that caused third-party displays to stop working after an iOS update. Apple fixed the issue, but it's not the first time it's happened. 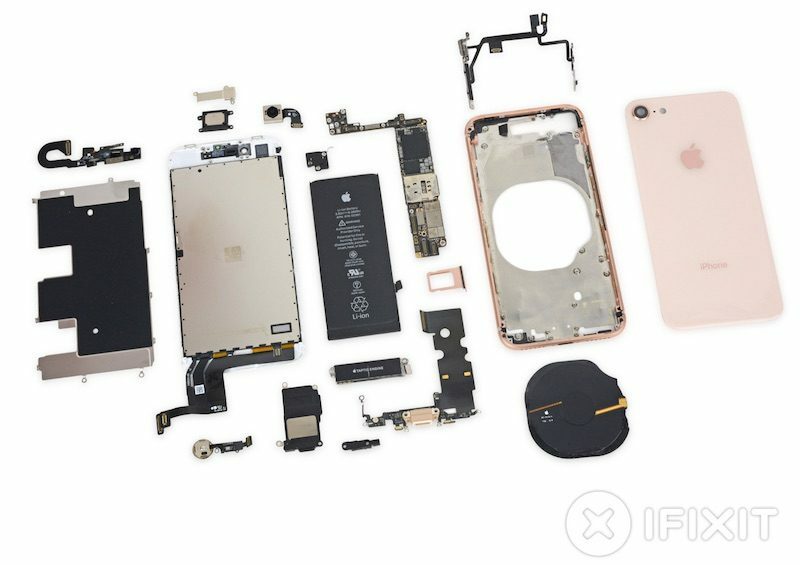 According to iFixit's Kyle Wiens, the market would be improved for everyone with competition and access to OEM and aftermarket parts, with repair shops able to provide better quality components through access to Apple part specifications. "The prospect of OEM parts is a nice idea, but it's not practical. 1. Apple won't sell the parts to people. 2. The pricing would be so astronomical you wouldn't want to pay it. You have to have an aftermarket option," he said. The source that sent us the factory video was not without an agenda. The person in question hopes that a peek inside the factories that are producing aftermarket iPhone components will spur Apple to provide more affordable parts with less markup so consumers won't need to seek repairs with lower quality components, but that may be a lofty goal. Apple does not break out how much it makes in repairs, which fall under the "Services" category in financial statements, but analysts estimate repairs for all products rake in $1 billion to $2 billion per year, a not-insignificant chunk of money. 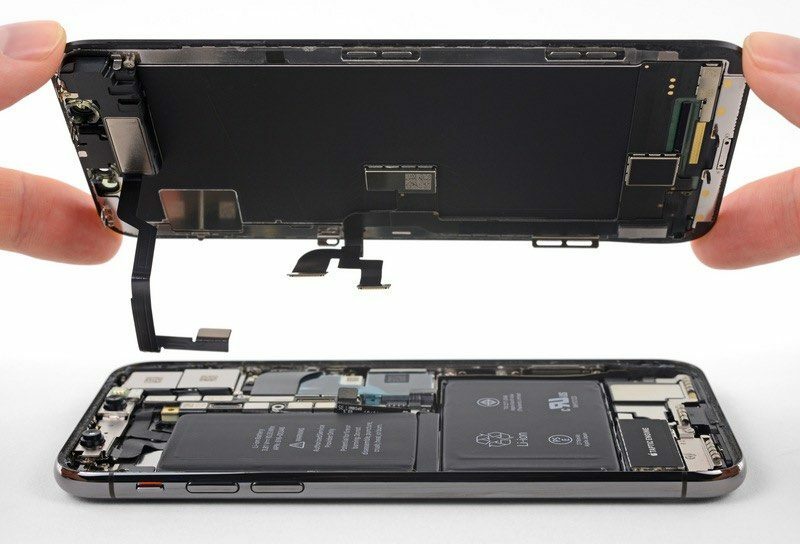 Looking at the iPhone repair ecosystem holistically, there's a disparity between what repair shops want and what Apple is offering. It's a fascinatingly complex situation where all involved parties feel their way is the better way, and it's easy to comprehend why. Demand for cheaper, more accessible repairs has led to a thriving independent repair community and a huge market for third-party components that's entirely unregulated, ultimately creating this strange, confusing web of repair options that can be difficult for consumers to navigate. With no access to genuine parts or Apple component schematics, independent repair shops are going to keep doing repairs with what's available, and despite Apple's warnings, some customers are going to keep choosing what's cheap.